THE traditional ruler of Ogbia Kingdom, in Ogbia Local Government Area of Bayelsa State, King Dumaro Owaba, has appealed to the state government to use part of the N1 billion earmarked for internal road projects in the area to open up Ayama Road. King Owaba made the appeal, weekend, when the state Commissioner for Information and Orientation, Mr. Daniel Iworiso-Markson, paid him a visit in his palace. The royal father described the Ayama Road project as very important to his people. The monarch, who is the Obanobhan III of Ogbia Kingdom, thanked the state governor for what he was doing for Ogbia people. He also commended the commissioner for the visit. Earlier, Iworiso Markson had stressed the need for Ogbia people to be more united and support one another in order to attract more development to the area. The commissioner who is also an indigene of Ogbia Kingdom said it was only when the people are united that they can talk about meaningful development. He called on the monarch to convene a meeting of stakeholders to discuss critical issues affecting Ogbia kingdom, also appealed to him to use his position to unite the people. 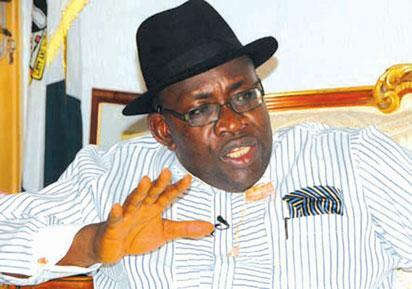 The post Bayelsa monarch tasks Dickson on Ayama road project appeared first on Vanguard News.